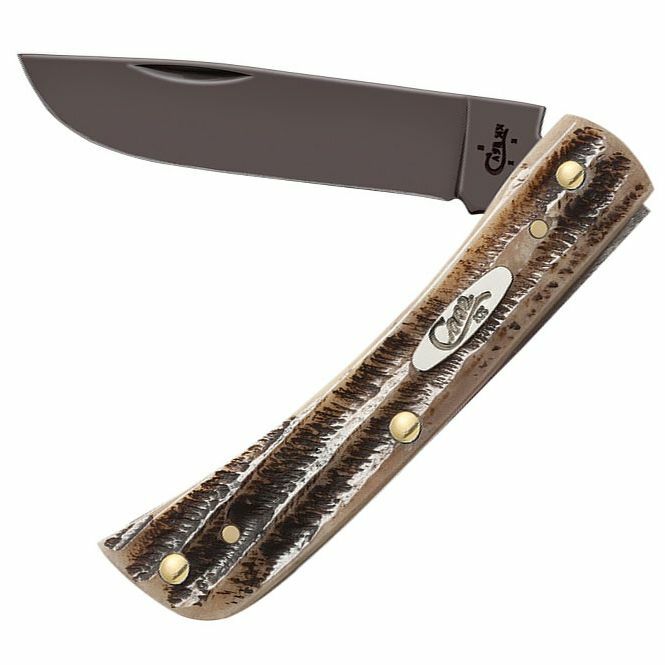 Case Knives, Sod Buster Jr. folding pocket knife, CA55206, made in USA. 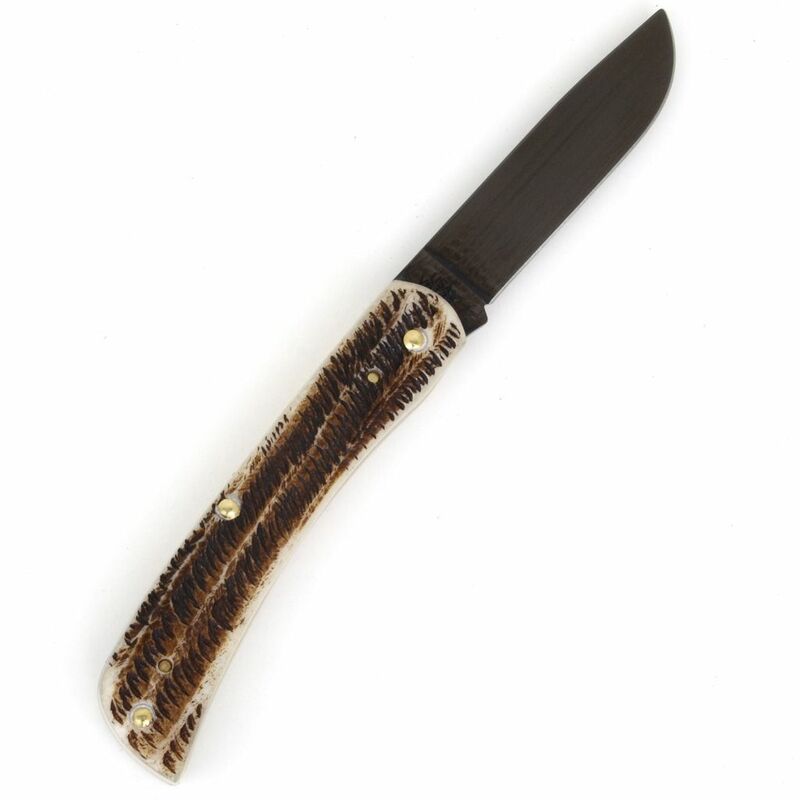 Measures 9.5 cm (3.75 inches) closed, 7 cm (2.75 inches) anthracite PVD coated, Tru-Sharp stainless steel blade. 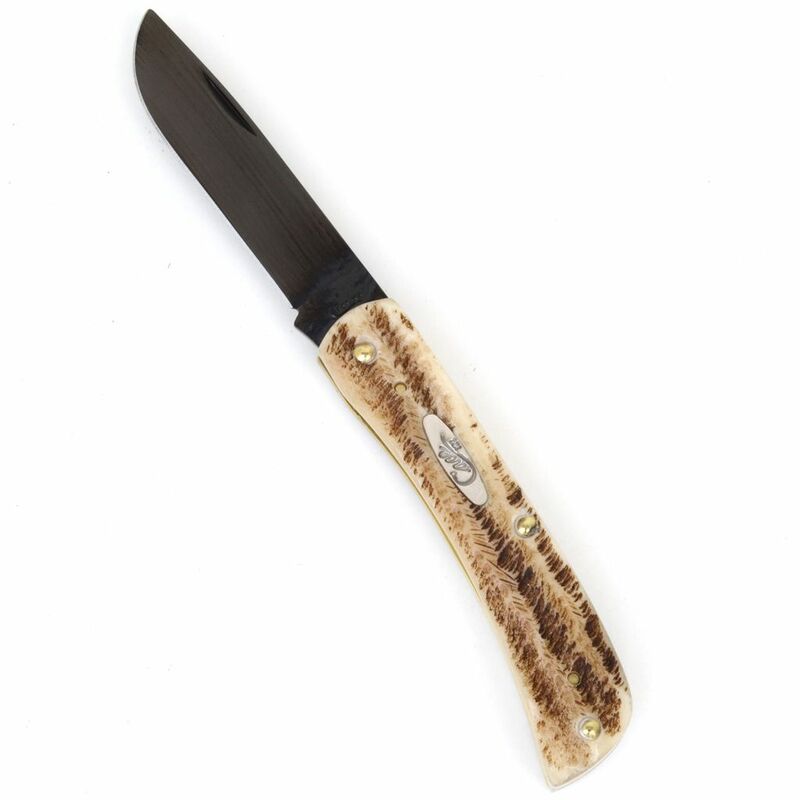 Based on traditional Sodbuster knife pattern, ideal every day carry pocket penknife. 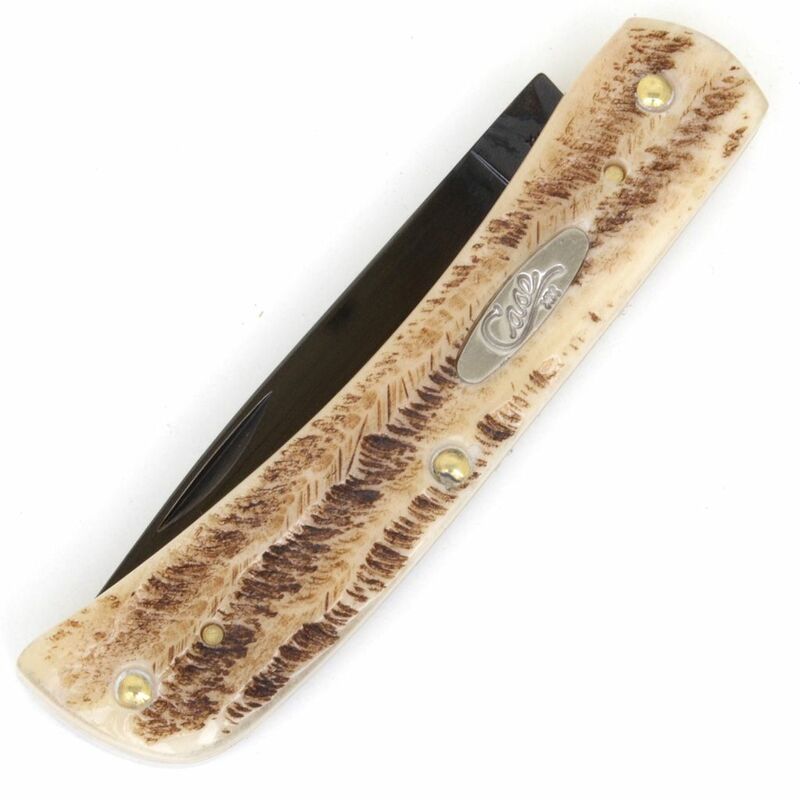 Brass handle liners, Vintage Bone handle scales.